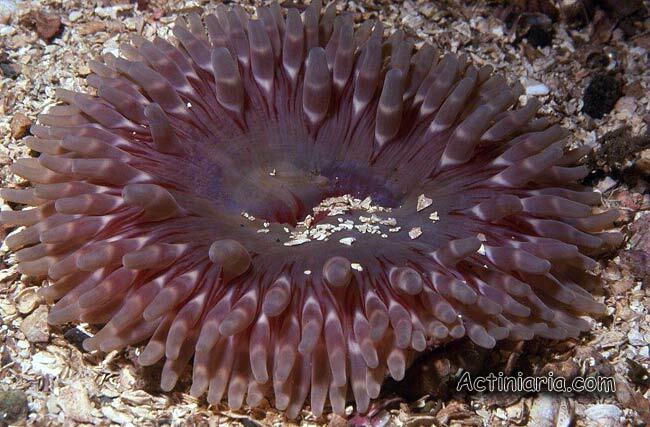 This is a very interesting and distinctive species of Urticina. We describe is as a new species from British Columbia, Pacific coast of Canada (see reference to our publication below). Most probably it has much wider distribution along Pacific coast of N America, but this needs confirmation. The species is always found buried in coarse sand or gravel with the pedal disk attached to solid objects like buried stones or rock. Only the oral disk with the tentacles is visible on the surface. Contracted specimens are usually hidden by overlying sediment. The species was observed from the low intertidal and shallow subtidal zone to 20m deep. 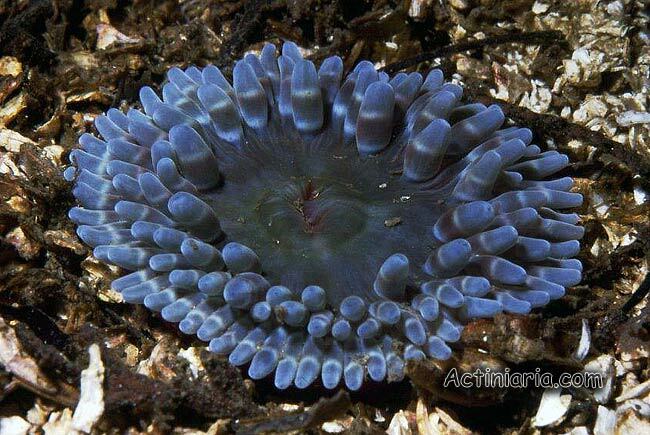 Externally, on the photos, it resembles Cribrinopsis olegi in its buried habit and short decamerously arranged tentacles, although usually the colour and the shape of the tentacles (more ampullaceous in Cribrinopsis olegi) differ clearly in living specimens. 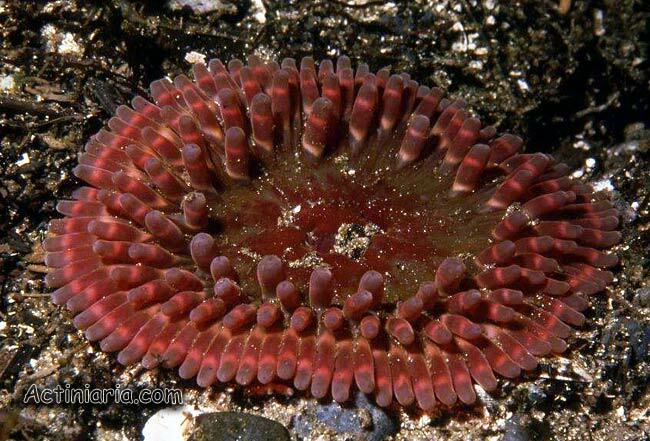 Similar (or, possibly, at least in part the same) species occurring along Pacific coast of USA and Canada is often wrongly identified as Urticina coriacea. 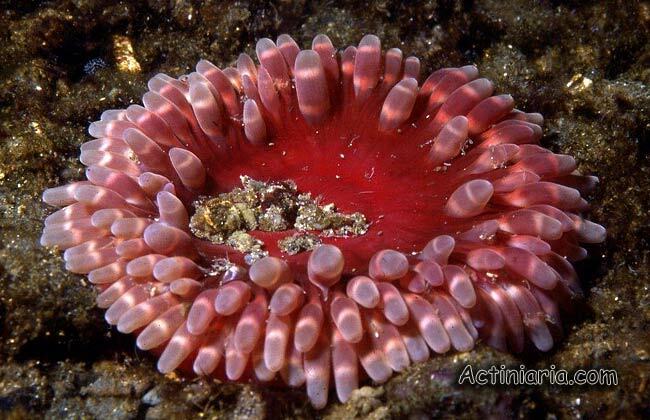 The name Urticina coriacea is not valid, this name is a junior synonym of Urticina felina, a species known only from European seas and it not occurs in Pacific.